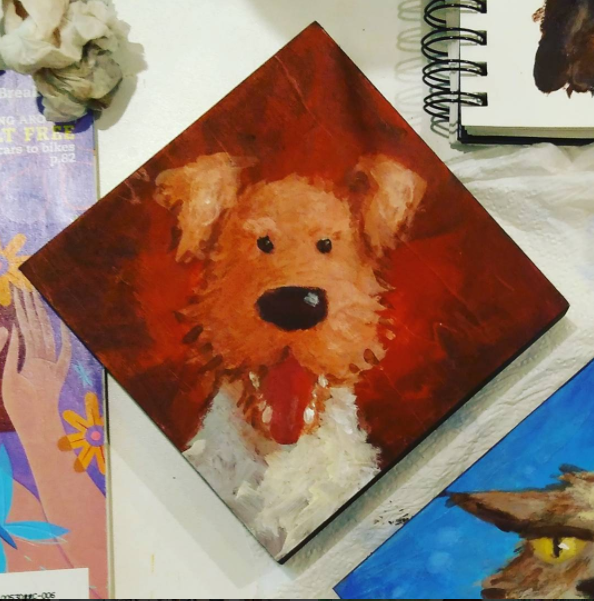 While gathering with fellow illustrators (We like to pretend that we have co-workers like normal people), it was suggested that we make some paintings to sell at a local humane society auction. 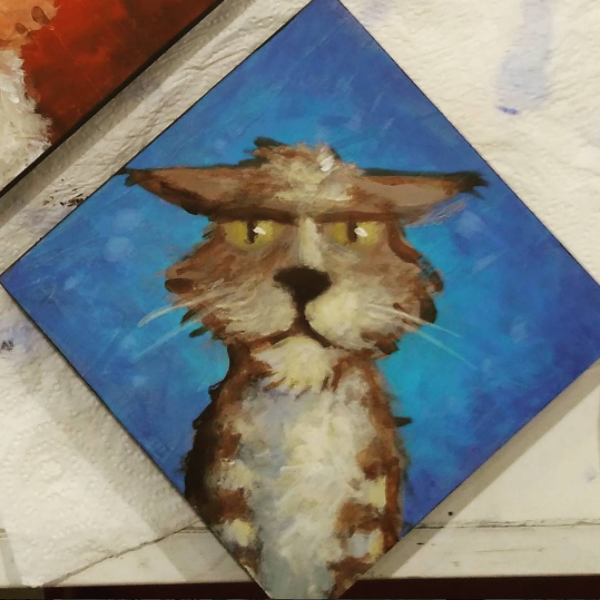 I had to think of something to paint on the spot, so I opted to immortalize my old a-hole dog, Marcus, and my even older, grumpier bag of bones cat, Fritz. It was a fun, spontaneous project for sure....I'm kind of sad I won't have these portraits of two of my oldest friends on my own wall! Thats what prints are for.